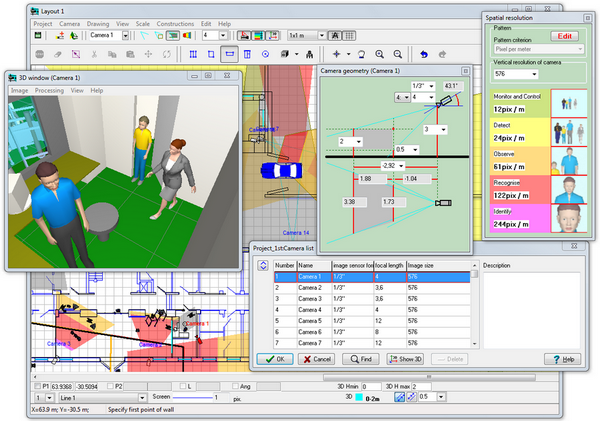 VideoCAD is a multifunctional tool for professional CCTV system design. VideoCAD Starter - the easiest, low cost version of VideoCAD. VideoCAD Starter is less demanding of computer resources. It is registered only by personal registration code. VideoCAD is a multifunctional tool for professional CCTV design. VideoCAD Starter - the easiest, low cost version of VideoCAD. VideoCAD Starter is less demanding of computer resources because of absence of resource-intensive tools. VideoCAD Starter is registered only by personal registration code, without dongle, without hardware locking.